Residents in Martin County, Kentucky, know it's dangerous to drink the water, but now some can't drink it even if they wanted to. 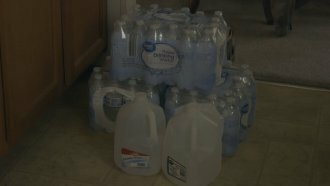 People in Martin County, Kentucky, know their water is dangerous, but some can't afford to drink, shower and wash their dishes with bottled water. Those same people are now seeing their water shut off almost entirely, even though they are still paying a water bill.